TUPPER, Sir CHARLES, doctor and politician; b. 2 July 1821 near Amherst, N.S., son of Charles Tupper* and Miriam Lowe, née Lockhart; m. 8 Oct. 1846 Frances Amelia Morse in Amherst, and they had three daughters, two of whom died in infancy, and three sons; d. 30 Oct. 1915 in Bexleyheath (London), England. Of Planter descent, Charles Tupper was born on his father’s small farm outside Amherst. Since his father was a co-pastor of the local Baptist church and his mother “a pious, devout woman,” Tupper was taught the merits of hard work and self-discipline, but his childhood appears to have been happy. When the young man fell victim to the “demon rum,” with “a look of horror” his father simply exclaimed, “Is it possible?” Tupper’s father was a formidable scholar and much of Tupper’s education took place at home, although he attended local grammar schools. In August 1837 he entered Horton Academy in Wolfville, where he became “fairly proficient” in Latin and Greek and acquired a reading knowledge of French and a smattering of science. 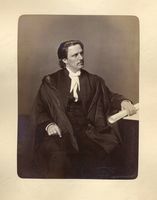 In 1839–40, after teaching for a time in New Brunswick, he studied medicine with Dr Ebenezer Fitch Harding of Windsor, N.S., and then, using borrowed funds, he entered the University of Edinburgh to obtain the best medical training available. 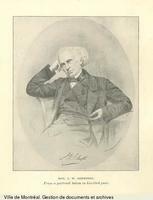 He received a diploma from the Royal College of Surgeons of Edinburgh on 20 April 1843 and became an md on 1 Aug. 1843. While living with Dr Harding, Tupper had undergone a conversion experience, but the years in Britain introduced him to a world of temptations, to many of which he yielded, drinking Scotch for the first time and going to the theatre. He never entirely abandoned his Baptist upbringing, but his commitment to the Baptist faith weakened. After returning to Nova Scotia he broke off an engagement he had entered into at age 17, briefly became engaged to the daughter of a prominent Halifax merchant, and on 8 Oct. 1846 married Frances Morse, a granddaughter of one of the founders of Amherst. By all accounts the Tuppers were a close couple. Frances – described by Edward Whelan* in 1864 as “a very fine and handsome woman” – was always at her husband’s side, re-establishing the family home wherever political necessity dictated and accompanying Tupper whenever possible on his travels. In recent years, upon the flimsiest of gossip, Tupper has acquired the reputation of being a womanizer. He certainly enjoyed the companionship of women, but there is no evidence that he was anything more than mildly flirtatious and his affection for his wife was genuine. Their children were brought up in her Anglican faith and Tupper acquired a pew in St Paul’s Church while living in Halifax, although on the campaign trail he would frequently attend Baptist meetings, dropping substantial sums in the collection plate. 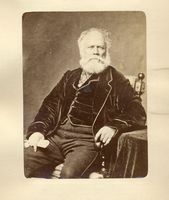 Upon becoming provincial secretary of Nova Scotia in 1857 Tupper handed the practice over to his brother and partner, Nathan, but after the Conservative defeat in 1859 he established a lucrative practice in Halifax. He became city medical officer, served on the surgical staff of the Provincial and City Hospital, and was chairman of the committee responsible for establishing a medical school. As one of the best-trained doctors in the province, he was concerned to increase the status of the profession by driving out the unqualified. In 1863 he was elected president of the Medical Society of Nova Scotia and in 1867–70 he served as first president of the Canadian Medical Association. He transferred his practice to Ottawa in 1868, and during the period in opposition after 1873 he practised there and in Toronto. But medicine occupied less and less of his time, although he carefully nurtured his professional image, storing a medical bag under his desk in the House of Commons. 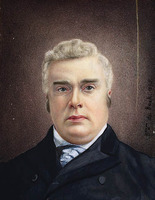 Tupper had become involved in politics through the influence of James William Johnston*, the leader of the Conservative party in Nova Scotia, a prominent Baptist, and a family friend. He first stood for election in Cumberland County in 1855, when he defeated the leading Liberal, Joseph Howe*. Overall, however, the election was a disaster for his party and at its first caucus on 30 Jan. 1856 he called for a new strategy, which involved courting the Roman Catholic minority and embracing government construction of railways. According to Tupper’s account, Johnston accepted this change of direction, surrendering the effective leadership to Tupper. In fact, the transfer of power took place more gradually. 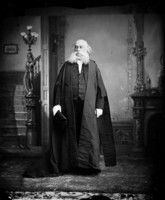 Johnston spoke frequently in the House of Assembly during the 1856 session. 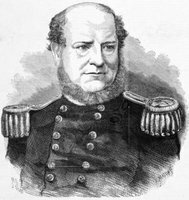 Yet it was Tupper who led the attack on the government, in speeches so acerbic and partisan that Howe dubbed him “the wicked wasp of Cumberland.” As Howe’s relations with the Roman Catholic members of his party became increasingly strained, Tupper encouraged defections to the Conservatives in 1857. Deprived of their majority, the Liberals under Premier William Young* resigned; the Conservatives took office on 24 Feb. 1857 and Tupper became provincial secretary. 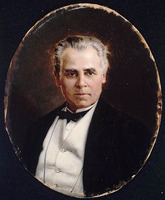 In his very first speech to the legislature Tupper had made clear his commitment to “this new accompaniment of civilization – the railroad.” Now in charge of the Railway Board, he appointed James Laurie, a civil engineer, to prepare a detailed study of Nova Scotia’s railways. Tupper’s enthusiasm is partly explained by the fact that few counties were better situated to benefit from railways than Cumberland. But he would base his political career on the belief that Nova Scotians (and later Canadians) should play down ethnic and cultural differences and focus on developing their vast resources. Nova Scotia, he believed, with its “inexhaustible mines” and its strategic “geographical position” could become “a vast manufacturing mart for this side of the Atlantic.” Tupper did not yet advocate protection. What he did see as necessary was access to the markets of Canada and the United States, a substantial influx of capital, and the steady growth of population through immigration. 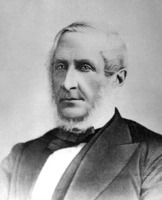 To open the way for development Tupper persuaded Johnston in 1857 to negotiate an end to the General Mining Association’s monopoly over the mineral resources of the colony. In June of the same year he initiated discussions with New Brunswick and Canada to secure an intercolonial railway and in September 1858 he went to London seeking imperial support for the project. The negotiations failed, partly because the Canadians seemed more interested in federal union, which Tupper did not feel authorized to discuss, but primarily in his view because the British were “too much engaged with their own immediate interests.” He returned to Nova Scotia convinced of the need to restructure the imperial relationship and to seek closer ties with the other British North American colonies. The election of 12 May 1859 was marked by an unusual degree of sectarian conflict. The Conservatives carried the Catholic vote but there was a larger switch of Protestants to the Liberals. In Protestant Cumberland, Tupper barely retained his seat. 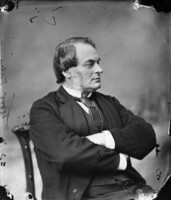 After losing a vote of no-confidence, the Conservatives appealed to the lieutenant governor, Lord Mulgrave [Phipps*], for another dissolution and, when he refused, resigned on 7 Feb. 1860. Tupper did not take defeat graciously. He believed that five of the Liberals elected should have been disqualified and he petitioned for Mulgrave’s recall. During the next three years Tupper ferociously attacked the Liberal government both in the assembly and in editorials in the British Colonist (Halifax). Clinging to power with a small majority, the Liberals moved to restrict the franchise, but Tupper persuaded the assembly to delay the change and in 1863 the Conservatives were returned to power with the largest majority in a decade, winning 40 of the 55 seats. 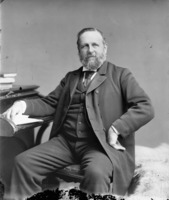 Johnston became premier and Tupper provincial secretary on 11 June 1863, and on 11 May 1864 Johnston went to the bench and Tupper became his successor. 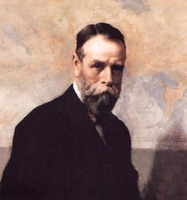 During the campaign Tupper had committed his party to an expanded railway network and an improved system of public education. Both policies were risky – railway building unleashed sectional tensions; education reform aroused sectarian rivalries – and both were expensive. The provincial economy was buoyant, however, and Tupper was able to push ahead with the Pictou extension of the Nova Scotia Railway. 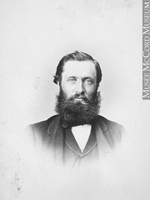 He placed great faith in Sandford Fleming, who was hired as chief engineer early in 1864, and when construction by local contractors proceeded slower than projected, in January 1866 he awarded Fleming the contract to complete the line, ignoring the provincial statute that called for public tendering. Judged by its results the contract, though controversial, was a good one, for on 31 May 1867 the entire line from Truro to Pictou Landing was completed ahead of schedule and on budget. Tupper had less immediate success with the line from Annapolis Royal to Windsor. The first company failed to fulfil its contract, but in 1866 Tupper reached an agreement with the Windsor and Annapolis Railway Company, which completed construction in December 1869. Initially Tupper also sought to finish the line from Truro to the New Brunswick border but he did not seriously pursue negotiations after confederation, and the intercolonial railway, became likely. Tupper’s achievements in the field of education were equally impressive. In 1864 he had passed his first Free School Act, establishing a system of state-subsidized common schools, subject to regulation by a superintendent of education under the direction of a Council of Public Instruction, composed of the members of the Executive Council. The act did not introduce local taxation; it simply promised greater financial support to school districts which instituted compulsory assessment. When fewer than half did so, Tupper introduced another act in 1865 imposing compulsory taxation. He attempted to appease Protestant opinion by stressing that the new schools, while non-denominational, would still provide Christian instruction. 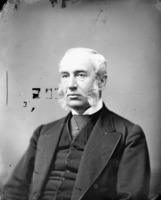 Partly to rebuild his reputation among Baptists, alienated by his support for the resuscitation of Dalhousie College in 1863 [see James Ross*], he appointed Theodore Harding Rand* as the first superintendent of education. These actions aroused Catholic concerns and one of his own supporters moved an amendment in 1865 to allow state-supported separate schools. Tupper had already placed control over educational policy in the hands of the cabinet, where Catholic representation was virtually guaranteed, and he opposed the creation of publicly funded separate schools. But he indicated to Catholic archbishop Thomas Louis Connolly* that, so long as they followed the prescribed course of study, Catholic-run schools could offer religious instruction after hours and still receive public grants. This compromise ensured to Nova Scotia a degree of religious harmony unparalleled in the other colonies. On 28 March 1864, arguing that British North American union could not be achieved for some years, Tupper pushed through the assembly of Nova Scotia a resolution calling for a conference to discuss Maritime union, which he saw as a preliminary to a larger union. In view of the anticipated hostility of Prince Edward Island, Charlottetown was selected as the site. Tupper and Premier Samuel Leonard Tilley* of New Brunswick acted as the joint secretaries there in September, but because of the arrival of a Canadian delegation the conference abandoned discussion of Maritime union, endorsing instead a plan for confederation. This decision owed little to the inspired oratory of the Canadians for they were preaching to the converted. Agreement in principle was easily achieved and the delegates reconvened at Quebec in October to work out the details. At Quebec, Tupper again headed the Nova Scotian delegation. Although his own preference was for a legislative union, he knew this was unacceptable to French Canadian representatives such as George-Étienne Cartier* and Hector-Louis Langevin*. 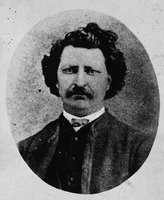 Therefore, he strongly supported the Canadian proposals for a highly centralized federal union [see Sir John A. Macdonald*], while opposing efforts to alter the form of the local legislatures and insisting that the provinces should have the sole right to levy duties on their natural resources. He was also concerned to offset “the great preponderance of Canada” in the proposed House of Commons by ensuring equal regional representation for the Maritimes (exclusive of Newfoundland) in the Senate. Tupper may be forgiven for misjudging the value of the Senate as a guardian of regional interests. Harder to justify is the compromise he accepted on the issue of compensating Nova Scotia for surrendering control over customs duties. Nova Scotia was more dependent on customs revenues and collected more per capita than the other colonies; yet in order to reach an agreement with the Canadians Tupper underestimated the potential shortfall in provincial revenues and accepted an annual subsidy of 80 cents per capita. This decision not only ensured that Nova Scotia would enter confederation with a deficit, but also sowed the seeds of future disparities between the large and small provinces. The sincerity of his faith in confederation notwithstanding, Tupper proved a much less effective negotiator for the financial interests of Nova Scotia than Tilley was for those of New Brunswick. 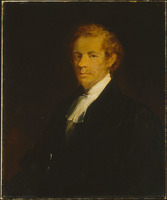 Tupper was convinced that he could persuade the assembly of Nova Scotia to accept the Quebec resolutions, but opposition quickly mounted across the colony. Although supported by the imperial government and by Liberal leader Adams George Archibald*, he was reluctant to move a motion in favour of confederation, and the defeat of Tilley in the New Brunswick election of 1865 justified his caution. Tupper therefore marked time for a year. In 1866, in order to fragment the anti-confederation forces, he promised that changes would be made in the Quebec resolutions and persuaded the assembly on 18 April to endorse by 31–19 a motion in favour of union. 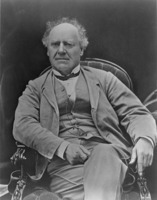 He then proceeded to London where, while awaiting delegates from the other colonies, he wrote pamphlets and letters to newspapers to counteract Howe’s efforts to arouse British public opinion against confederation. At the London conference in December 1866 few changes were made to the Quebec resolutions. The federal government was given the authority to pass remedial legislation to protect separate schools where they had been established by colonial legislation prior to confederation. 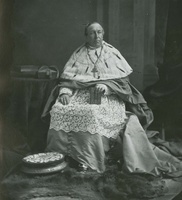 Although Archbishop Connolly strongly lobbied for constitutional guarantees for separate schools in the Maritimes, Tupper refused his consent. Tupper did agree to strengthen the federal authority by turning the coastal fisheries from an area of joint responsibility into one controlled solely by Ottawa. Since Nova Scotia was likely to enter confederation with a much higher debt than had been predicted, due largely to his own policies, he pushed for a revision of the subsidy formula but only minor changes were made. Once again he appears to have been convinced that the advantages of union would offset the immediate financial difficulties of the province. Tupper returned to Halifax and began to prepare for confederation. The assembly and the Executive Council were reduced in size to reflect their more limited responsibilities, senators were selected, and an act was passed preventing dual representation in the provincial and federal parliaments. 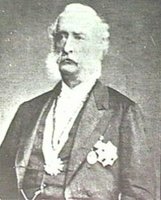 On 4 July 1867 Tupper handed over power to a revamped provincial administration under Hiram Blanchard*. 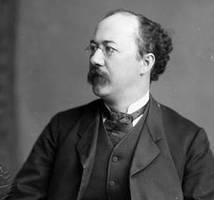 He undoubtedly expected to be included in the new federal cabinet but when Prime Minister Sir John A. Macdonald ran into difficulty in forming it Tupper persuaded Thomas D’Arcy McGee* that they should both step aside in favour of an Irish Catholic from Nova Scotia, Edward Kenny*. 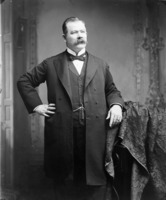 Tupper may have been motivated by his awareness of the electoral débâcle that was to follow, for in the first federal elections in September he was the only pro-confederate in Nova Scotia to win a seat (Cumberland), and then by a very narrow margin. Although offered the chairmanship of the Intercolonial Railway Commission, Tupper declined the post because it “would weaken my influence in rendering the Union of the Provinces acceptable to the people of Nova Scotia.” In the commons he spoke frequently on Nova Scotian issues and attempted to rebuild his political base. When Howe went to London in 1868 to push for repeal, Tupper was sent by Macdonald to present the opposite case and did so effectively. Tupper also met with Howe and offered to assist him in obtaining “better terms” for Nova Scotia [see Archibald Woodbury McLelan*] if Howe would agree “to make the best of union.” When Howe did just that and entered the federal cabinet, Tupper appealed to the Conservatives in Hants County, N.S., to re-elect Howe and even offered to resign his own seat for him if necessary. Howe and Tupper thus became allies, although the relationship was not free of friction. 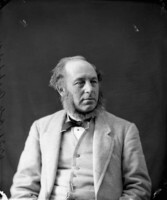 As Howe’s health declined, the need to find Tupper a cabinet position grew stronger and on 21 June 1870 he became president of the Privy Council and on 2 July 1872 minister of inland revenue. His influence was soon felt. Tupper was convinced that the United States would never agree to a fair resolution of the Atlantic fisheries dispute [see Peter Mitchell*] unless the Canadian government adopted a firm policy. Prior to confederation he had unilaterally doubled the licence fees for Americans fishing off Nova Scotia, in 1868 he had persuaded the British government to allow Canada to raise its fees, and he strongly pushed for the decision in 1870 to end the licensing system. This action precipitated the appointment of a joint commission, which met in Washington in 1871 and on which Macdonald sat. Tupper acted as the prime minister’s liaison with the cabinet during these negotiations and, although not entirely happy with the Treaty of Washington, he loyally stood by it and Macdonald in the commons. In the federal election of 1872 Tupper organized the campaign in Nova Scotia and he boasted of “not a single Anti-confederate being elected.” Indeed, of the province’s 21 members, only one was clearly an opponent of the government, although several more were former repealers whose loyalty to the Conservative party would be found wanting during the Pacific Scandal of 1873. 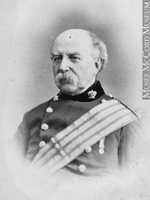 On 22 Feb. 1873 Tupper replaced Tilley as minister of customs and, although he held the office only until 5 November, when the government was brought down by the scandal, he was responsible for establishing the British system of weights and measures as a uniform standard across Canada. In the disastrous election of 1874 only he and one other Conservative were elected in Nova Scotia. None the less, the Pacific Scandal brought unexpected political benefits for him. Macdonald contemplated resignation and a number of prominent Conservatives abandoned ship. A vacuum existed at the very heart of the Conservative party and Tupper moved to fill it. He was not involved in the Pacific Scandal – as a Maritimer excluded from the inner circle of the cabinet he had been unaware of the substantial contributions made by Sir Hugh Allan* to the Quebec and Ontario ministers – but he defended those implicated and he stood by Macdonald during and after the election. For four years Tupper campaigned in virtually every by-election in Canada, and in the commons he became the party’s most effective critic of the Liberal government of Alexander Mackenzie*. It is easy to make fun of Tupper’s “reputation for parliamentary blather,” but his command of detail and his memory were outstanding and there were few speakers who could match him. After one series of public debates, George William Ross declared that Tupper left him wondering if he “was even remotely qualified to be a party politician.” Although Macdonald’s self-confidence gradually returned, his health was not good and Tupper was the heir apparent. Tupper’s influence in the formulation of Conservative policy during this period was critical. It would be foolish to assign to any individual responsibility for the growth of protectionist sentiment among Conservatives, for this was an inevitable reaction to economic circumstances. But Tupper was an early convert. In 1868 he had presented to parliament a memorial from Nova Scotia coal-owners demanding a higher duty on imported coal, partly as a means of persuading the Americans to renew the Reciprocity Treaty, abrogated in 1866. Gradually he became convinced that such a duty should be part of a larger “national policy,” a term he used (though certainly did not coin, as he later claimed) in debate, and his conviction was reinforced by the refusal of the Americans to renegotiate reciprocity in 1871. As the recession of the 1870s deepened and Liberal efforts at renewing reciprocity proved futile, Tupper focused increasingly on protection. There is an apocryphal story that he came to the debate on Richard John Cartwright’s budget in 1876 prepared to advocate free trade in the event that the Liberals adopted protectionist policies. Certainly he came prepared to attack across-the-board tariff increases, but there is no doubt that he was deeply committed to selective increases to protect Canadian industries, more deeply indeed than Macdonald or Tilley. Similarly, it was more than political opportunism that led Tupper to attack the Liberals’ railway policies. 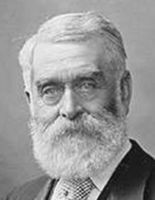 He had strongly supported the efforts of Sandford Fleming to construct the Intercolonial to the highest possible standards and he viewed the Liberal policy of raising freight rates and using contractors from outside the Maritimes as a betrayal of the economic benefits promised by confederation. He was equally critical of the Liberals for not giving greater priority to the completion of a railway to British Columbia over an all-Canadian route. Although not solely responsible for these positions, Tupper placed them at the centre of the Conservative party’s platform. 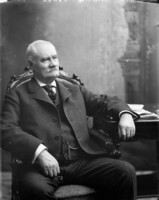 His speeches were distributed to party organizers across the country, the Nova Scotia Liberal-Conservative Association which he had established in 1874 was used as a model elsewhere, and he actively campaigned in both the Maritimes and Ontario during the election of 1878, which saw the Conservatives returned with a healthy majority and 16 of the 21 seats in Nova Scotia. The interests which contributed to the Conservative victory in Nova Scotia were rewarded in Tilley’s 1879 budget, although the tariff on coal was not raised as high as the Nova Scotians wished because of opposition from Ontario. 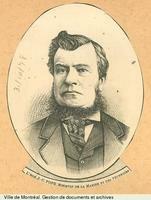 Tupper’s personal reward was appointment as minister of public works on 17 Oct. 1878. The burdens of the office were so heavy that on 20 May 1879 railways and canals were hived off as a separate department with Tupper as minister. Tupper’s greatest challenge was the completion of the Pacific railway, which he viewed not merely as a Canadian railway but as “an Imperial Highway across the Continent of America entirely on British soil.” He made several popular changes in its route and began to distribute contracts for further work. He hoped to raise funds through the sale of public land in the west and in the summer of 1879 he travelled to London to get a British guarantee for the sale of bonds. He returned without it but with 50,000 tons of steel rails purchased at a bargain price. Although in opposition he had rejected building the railway as a public work, he was now committed to government construction at the lowest cost possible. 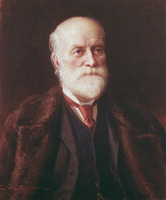 The revenues from land sales proved disappointing, however, and, as costs spiralled, so did criticism of the chief engineer, Sandford Fleming. Tupper reluctantly put pressure on Fleming to reduce the costs – and therefore the quality – of construction but he could not save his old friend and in May 1880 was forced to remove him. Mounting evidence that the long depression of the 1870s was lifting and signs of interest from a syndicate headed by George Stephen* persuaded Tupper that the railway could be given over to private enterprise and in June he induced the cabinet to agree. Tupper and Macdonald handled the negotiations and on 21 Oct. 1880 Tupper signed a formal contract with Stephen’s group on behalf of the government. The terms were controversial and with hindsight it is possible to conclude that they were unnecessarily generous to the syndicate. Yet if one accepts as valid Tupper’s concern that the railway be constructed quickly to the highest possible standards but at the lowest possible cost to the government and that it follow an all-Canadian route, the initial terms do not seem unreasonable; indeed, the actual grant to the Canadian Pacific Railway Company was lower than the amount Tupper had originally forecast as necessary. Moreover, Tupper’s experience had convinced him that a private company whose profit would come from operating the railway would be more committed than the government to high quality construction. Tupper believed it was in the national interest for the company to succeed and his commitment to the CPR was virtually limitless. His violent partisanship in its long and bitter competition with the Grand Trunk helped prevent the two railways from arriving at some form of cooperation. When the CPR required additional financial support in December 1883, he worked out a rescue plan and persuaded the caucus and the commons to agree to it. On 24 Feb. 1885, during another crisis, he wrote to Macdonald from London pleading with him not to “let the CPR go down” and offering to resign as high commissioner and return to Canada. Indeed, his commitment to the early completion of the railway led him to recommend more generous terms for a government loan than the cabinet was prepared to accept. During the latter part of 1879 the relations between Tupper and Macdonald had deteriorated, particularly over the issue of Fleming’s dismissal. Although the breach was eventually healed, Tupper was no longer clearly the heir apparent and his health was not good. As early as March 1881 he asked Macdonald to allow him to replace Sir Alexander Tilloch Galt* as Canadian high commissioner in London. 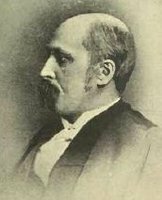 In the election of 1882 Tupper campaigned only in Nova Scotia, where the Conservatives won 14 of the 21 seats; Tupper was acclaimed and his son Charles Hibbert*, already being groomed to take his father’s place, was returned for Pictou. On 30 May 1883 Tupper, without surrendering his cabinet post, became unpaid high commissioner. He was based in London but returned to Canada repeatedly to deal with ministerial business and there was increasing criticism of his holding two incompatible offices. 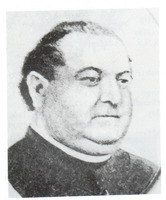 In May 1884 he resigned as minister and on 24 May became salaried high commissioner, abandoning his seat in parliament. 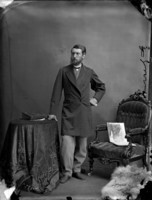 His absence from the commons, Tilley noted in 1885, was “very much felt” and in 1886 Macdonald appealed to him to return and assist the party in the forthcoming federal election. Partly to combat the secessionist cry raised by William Stevens Fielding* in Nova Scotia, on 27 Jan. 1887 Tupper became minister of finance, while continuing to act as high commissioner, and in the election of 1887 he campaigned vigorously in Nova Scotia, carrying 14 of the 21 seats. Tupper not only defended protection but in a bold move extended it to the iron and steel industry in his 1887 budget. In part he hoped to undermine secessionist sentiment and consolidate Conservative support in eastern Nova Scotia, where the prospects “of a great iron industry” were good [see Graham Fraser]. But he also believed that Canada was ready to move to the next stage of industrial development. In 1885 the American government had abrogated the fisheries clauses of the Treaty of Washington and the following year the Canadian government retaliated by imposing a strict interpretation of the fisheries convention of 1818, precipitating a crisis in American-Canadian relations. As high commissioner, Tupper had pressed the British government for a “firm and unflinching maintenance of our rights.” When a joint commission was established in 1887, he helped draft the British terms of reference and was chosen to represent the Canadian government as one of the three British commissioners, while Joseph Chamberlain represented the British government. Tupper worked closely with John Sparrow David Thompson*, who acted as legal adviser, but he was clearly the dominant figure. Indeed, the American secretary of state, Thomas Francis Bayard, complained that “Mr. Chamberlain has yielded the control of the negotiations over to Sir Charles Tupper, who subjects the questions to the demands of Canadian politics.” Although Tupper could not persuade the Americans to discuss reciprocity, in February 1888 he secured a treaty that included significant concessions to Canada, so significant that the treaty was rejected by the American Senate; however, the modus vivendi worked out by the commission temporarily resolved the crisis. Later that year, at Chamberlain’s request, Tupper, who had been created a cb in 1867, a kcmg in 1879, and a gcmg in 1886, would be made a baronet of the United Kingdom, much to the annoyance of Thompson, who felt Tupper had grabbed all the credit. Tupper’s star was clearly on the rise again. Macdonald appealed to him to remain in the government and even promised to reinstate him as the heir apparent. But Tupper knew that his chances of succeeding were uncertain and he felt that Macdonald should carry out his pledge, made during the crisis over Louis Riel*, to recommend Sir Hector-Louis Langevin as his successor. On 23 May 1888, after resigning from the cabinet, Tupper resumed the office of high commissioner in London. Tupper’s influence with the Canadian ministry placed him in a position of unusual strength during his terms as high commissioner and he extended his duties to include an ever-wider range of activities. He was particularly concerned with promoting immigration and to this end toured the British Isles and made occasional trips to Europe. He was no less active in advancing Canadian commercial interests. Indeed, he made an important contribution to the cattle industry by demonstrating in 1883 that Canadian herds were free from disease and by persuading the British government to exempt Canadian cattle from restrictions applied to American cattle. Tupper encouraged Canadian exporters to communicate directly with him and he put them in touch with British importers. He also negotiated loans for the Canadian government and the CPR, eliminating the costly expenses of British middlemen. 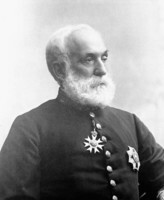 Prior to the Colonial and Indian Exhibition in London in 1886, which he helped to organize, he visited the boards of trade in all of the provinces to ensure that Canada was well represented. He also obtained a mail subsidy for a steamship from Vancouver to the Orient and pushed for an all-British Pacific cable and a fast Atlantic steamship service. Tupper moved in high social circles, meeting British statesmen and members of the royal family on intimate terms. He was constantly in touch with the colonial secretary and even helped draft British commercial legislation affecting Canada. He also played an increasingly active role in international negotiations. In October 1883, although not a full plenipotentiary, he represented Canada at a conference in Paris and disagreed openly with the British delegation. The following year he persuaded the British government to allow him to carry on commercial negotiations with Spain, and in 1893 he concluded a trade arrangement with France. When tensions had mounted in 1889 over American efforts to prevent Canadians from fishing for seals in the Bering Sea, Tupper returned to Washington to assist in the negotiations, antagonizing the British government by his uncompromising defence of Canada’s rights. In 1890 he successfully urged London to reject a fisheries treaty that Robert Bond* of Newfoundland had negotiated with the United States. Tupper thus acquired considerable influence, but it was not always possible to distinguish between his work as high commissioner and his activities as a politician. 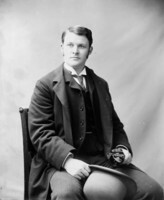 In the election of 1891, for example, he returned to Canada to campaign for the National Policy. So flagrant was his partisanship that a resolution condemning his conduct was narrowly defeated in the commons. The non-political nature of the high commissioner’s office was established only with his successor, Sir Donald Alexander Smith. The death of Macdonald in 1891 offered Tupper an opportunity to become prime minister. He recognized, however, that his appointment would not be universally welcomed, he enjoyed his influence in London, and he urged his son Charles Hibbert, then minister of marine and fisheries, to give “hearty support” to Sir John Thompson. 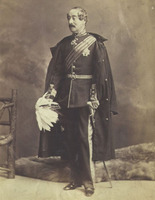 After Thompson’s sudden demise in December 1894, Tupper was the logical candidate to succeed, but his health was not good and Governor General Lord Aberdeen [Hamilton-Gordon*] and his influential wife disliked him. 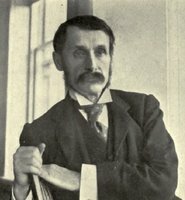 Aberdeen asked Mackenzie Bowell to form a government. As it became clear that Bowell was incapable of resolving the conflict within the Conservative party over the Manitoba school question, the pressure for Tupper’s return mounted, and by the end of 1895 he was back in Ottawa. 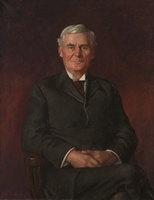 On 4 Jan. 1896 seven members of the cabinet resigned and compelled Bowell and a reluctant Aberdeen to agree that Tupper would enter the cabinet as secretary of state on 15 January and become prime minister upon dissolution. On 4 February he was elected in a by-election in Cape Breton and effectively took charge of the government. On the critical issue of restoring separate schools in Manitoba, Tupper never wavered. Although personally opposed to them, he believed a promise had been made to the Catholic minority and it should be honoured. 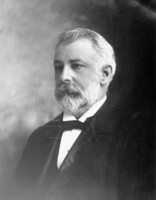 When the Judicial Committee of the Privy Council had ruled in 1895 that the federal government had the power to use remedial legislation, Tupper advised his son to stand by this decision even if “it would close your political career.” In February 1896 he introduced a remedial bill into the commons, where it was filibustered by a combination of extreme Protestants, led by D’Alton McCarthy*, and Laurier’s Liberals. Two months later, having pushed through only 15 of the 112 clauses, Tupper was forced to abandon the bill. On 24 April parliament was dissolved and on 1 May Tupper became prime minister. 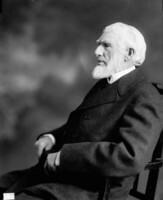 He successfully developed a party program which at least partially neutralized the Patrons of Industry [see George Weston Wrigley*] and he insisted that the “real issue” in the election was “our great fight to protect the industries of Canada.” But try as he might he could not turn the election of 1896 into a rerun of 1891. So bitterly were the Conservatives divided over the schools issue that at every party rally Tupper was faced with a barrage of criticism. At Massey Music Hall in Toronto, for example, there was “a constant din of meaningless interruptions,” but he still spoke for two hours and ended with a ringing declaration that “we must do right” even if it meant “the downfall of the Conservative party.” In the end Tupper won more votes than the Liberals, carrying about half the seats outside Quebec. It was the “unexpected” Liberal landslide in Quebec that gave Laurier his majority. 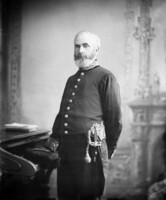 Tupper had tried in vain to persuade Sir Joseph-Adolphe Chapleau* to return to active politics, but even with a strong Quebec lieutenant he would have had difficulty in inducing Quebeckers to vote for someone so clearly identified as an enthusiastic imperialist. None the less, after the election Tupper declared that he would support a remedial bill if Laurier introduced one. 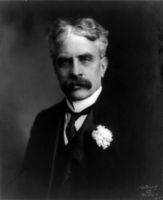 Although the results of the election were known on 24 June, Tupper clung to office, insisting that Laurier would be unable to form a government. 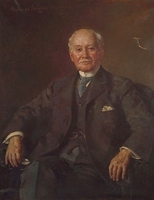 When he sought to make a number of appointments, however, Lord Aberdeen refused to confirm them and on 8 July Tupper resigned, complaining that Aberdeen had acted unconstitutionally. 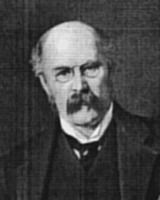 For the next four years Tupper worked to rebuild his party, as he had done after its defeat in 1874. Although he had not abandoned hope of winning seats in Quebec and he vigorously attacked Laurier for failing to fulfil his promises to the Manitoba Catholics, his primary concern was to woo back those traditional Tories who had deserted the party. This strategy involved questioning the loyalty of the Liberal leadership to the empire. Tupper strongly supported Canada’s participation in the South African War, but Laurier managed to defuse the issue and by the time of the election in November 1900 the war was of limited significance. Tupper’s strategy paid off in Ontario, where the Conservatives gained 17 seats, but Laurier carried the rest of Canada. Tupper himself went down to defeat and two days after the election he announced his resignation, selecting as his successor his fellow Nova Scotian and friend Robert Laird Borden*. For the next 15 years Tupper resided mainly at Bexleyheath in England, at the home of his daughter Emma (whom he had rushed to the northwest to rescue in 1869, when her husband was imprisoned by Louis Riel’s provisional government); but he made frequent trips across the Atlantic to visit his sons. On 9 Nov. 1907 he was appointed a member of the British Privy Council. His major preoccupation continued to be Canada’s relationship with Britain and he served on the executive committee of the British Empire League and wrote articles and public letters promoting closer economic ties. He remained opposed to imperial federation and to the demand that Canada make a direct contribution to imperial defence costs, although in 1912 he supported Borden’s proposal to make an emergency contribution of Dreadnoughts to the Royal Navy. Gradually his health declined, but even at the age of 84 on a visit to Rome he possessed sufficient energy to begin the study of Italian. The death of Lady Tupper on 11 May 1912 was, however, a severe blow, as was the death of his eldest son in April 1915. On 30 Oct. 1915 the last of the original Fathers of Confederation died at Bexleyheath. He was buried beside his wife in St John’s Cemetery, Halifax, after a state funeral with a procession a mile long. In 1867 the Halifax Morning Chronicle had described Tupper as “the most despicable politician within the bounds of British North America.” Throughout his career Tupper was variously described as “the Boodle Knight,” the “Great Stretcher” (of the truth), “the old tramp,” the “Arch-Corruptionist,” and “the old wretch.” All of these epithets contain a grain of truth and much of the abuse Tupper brought upon himself by his combativeness, his partisanship, and his pomposity. “In big issues,” a private secretary noted, “Sir Charles was chivalrous and courageous” but “in trivialities . . . he sought an alibi.” None the less, his faults were blown out of proportion by his political foes. Given that patronage was the way in which local loyalties were harnessed to the national interest there was nothing unusual about Tupper’s concern to reward supporters, especially since when he arrived in Ottawa Nova Scotians occupied a tiny proportion of federal posts. Except perhaps during his early career in Nova Scotia he normally acted upon the principle that civil servants should not be dismissed unless they had been active politically, and both in the civil service and in the party he showed a real desire to appoint and advance men of talent. In the interests of holding power he could be ruthless. He believed in using the resources of the state to encourage private investment and he expected those who benefited from the party’s policies to support the party. Whenever possible he awarded contracts to companies that made contributions, although there is no evidence that he distributed contracts in order to get contributions. He used his personal fortune to encourage loyalty but he operated within the framework of the law: only one of his elections was overturned upon petition and that because a supporter had given a 50-cent railway fare to a constituent. His standards of political morality were low but so were those of his contemporaries. Tupper became a very wealthy man, how wealthy it is impossible to know since his private papers contain virtually no information on such matters. Initially his income was derived from professional fees but he was soon loaning out money for mortgages and making speculative investments in the coalmines at Springhill, N.S., whose interests he assiduously promoted. He apparently earned more from his medical practice after 1874 than he had as a cabinet minister; as his political influence increased, however, so did the opportunities for corporate directorships in such companies as the Crown Life Insurance Company, the Bank of British Columbia, and the General Mining Association. 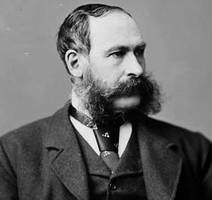 While opposition leader after 1896 he made numerous trips to London to act as chairman of New Gold Fields of British Columbia Limited and the Klondike Mining, Trading and Transportation Corporation Limited, two highly speculative gold-mining ventures. The salaries he received for such activities were not large, but insider knowledge provided the chance of windfall profits from stock investments and most of his fortune seems to have been derived from this source. Tupper had no reservations about using political influence to advance developments in which he had an interest and he acquired the reputation of “feathering his own nest.” All three of his sons became successful lawyers, two of them after studying at Harvard, and all three benefited from their father’s connections. 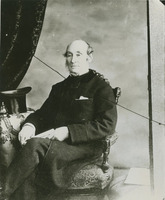 James Stewart and William Johnston became partners in a Winnipeg firm, whose clients included the CPR, and Charles Hibbert operated out of Halifax and later Vancouver, often in alliance with his father. For his daughter’s husband Tupper secured the position of commandant of the Royal Military College of Canada in Kingston, Ont. Tupper’s brother and various nieces and cousins all received government patronage, becoming what the Toronto Globe described as “public-kept Tuppers.” In an age with only the haziest notion of conflict of interest, Tupper operated upon the fringes of what was acceptable but it is not clear that he ever overstepped the bounds and he was hurt by allegations of misconduct. In retirement he went to great lengths to set the record straight (at least as he saw it). In 1912 he gave a series of interviews to a Vancouver journalist, William A. Harkin, who published them as the Political reminiscences of the Right Honourable Sir Charles Tupper in 1914, the same year in which Tupper published his own Recollections of sixty years. The major manuscript sources for this study were the Sir Charles Tupper papers at the NA (MG 26, F) and the Sir Charles Tupper and Tupper family papers in the PANS (MG 1, 1538B, MG 2, 718, and MG 100, 1772). Particularly valuable as well were the papers of Sir John A. Macdonald (NA, MG 26, A), Sir John S. D. Thompson (NA, MG 26, D), Sir Mackenzie Bowell (NA, MG 26, E), and Alexander Mackenzie (NA, MG 26, B); the Sir Charles Hibbert Tupper papers in the NA (MG 27, I, D 16) and the Univ. of B.C. Library, Special Coll. and Univ. Arch. 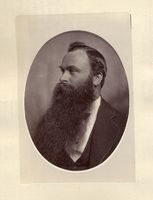 Div., Vancouver (M644); and the Sir Samuel Leonard Tilley papers (NA, MG 27, I, D15) and the Tilley family papers in the N.B. Museum. Also consulted were the Debates and proc. of the Nova Scotia House of Assembly, 1856–67, the Debates of the Canadian House of Commons, 1867–1900, and selected Nova Scotian and Canadian newspapers. The following works were used extensively: Charles Tupper, Political reminiscences of the Right Honourable Sir Charles Tupper . . . , ed. W. A. Harkin (Toronto, 1914), Recollections of sixty years in Canada (Toronto, 1914), and The life and letters of the Rt. Hon. Sir Charles Tupper bart., k.c.m.g., ed. E. M. Saunders (2v., Toronto, 1916); Supplement to the life and letters of the Rt. Hon. Sir Charles Tupper, bart., g.c.m.g., ed. C. H. Tupper (Toronto, 1926); J. W. Longley, Sir Charles Tupper (Toronto, 1916); A. W. MacIntosh, “The career of Sir Charles Tupper in Canada, 1864-1900” (phd thesis, Univ. of Toronto, 1960); E. M. Saunders, Three premiers of Nova Scotia . . . (Toronto, 1909); H. [W.] Charlesworth, Candid chronicler: leaves from the note book of a Canadian journalist (Toronto, 1925); and G. W. Ross, Getting into parliament and after (Toronto, 1913). R. C. Brown, Canada’s National Policy, 1883–1900. a study in Canadian-American relations (Princeton, N.J., 1964); Robert Laird Borden, a biography (2v., Toronto, 1975–80), I. P. A. Buckner, “The 1860s: an end and a beginning,” in The Atlantic region to confederation, ed. P. A. Buckner and John Reid (Toronto and Fredericton, 1994), 360–86; “The 1870s: political integration,” in The Atlantic provinces in confederation, ed. E. R. Forbes and D. A. Muise (Toronto and Fredericton, 1993), 48–81. 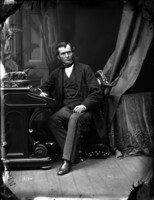 H. C. Cameron, “Nova Scotians in the federal cabinet, 1867–1878” (ma thesis, Queen’s Univ., Kingston, Ont., 1976). L. C. Clark, “A history of the Conservative administrations, 1891 to 1896” (phd thesis, Univ. of Toronto, 1968). Ben Forster, A conjunction of interests: business, politics, and tariffs, 1825–1879 (Toronto, 1986). W. K. Lamb, History of the Canadian Pacific Railway (New York and London, 1977). R. [P.] Langhout, “Developing Nova Scotia: railways and public accounts, 1849–1867,” Acadiensis (Fredericton), 14 (1984–85), no.2: 3–28; “Public enterprise: an analysis of public finance in the Maritime colonies during the period of responsible government” (phd thesis, Univ. of N.B., Fredericton, 1989). K. M. McLaughlin, “Race, religion and politics: the election of 1896 in Canada” (phd thesis, Univ. of Toronto, 1974). [I. M. Marjoribanks Hamilton-Gordon, Marchioness of] Aberdeen [and Temair], The Canadian journal of Lady Aberdeen, 1893–1898, ed. and intro. J. T. Saywell (Toronto, 1960). D. A. Muise, “Elections and constituencies: federal politics in Nova Scotia, 1867–1878” (phd thesis, Univ. of Western Ont., London, 1971). Robert Page, “Tupper’s last hurrah: the years as opposition leader, 1896–1900,” in The west and the nation; essays in honour of W. L. Morton, ed. Carl Berger and Ramsay Cook (Toronto, 1976), 140–60. K. G. Pryke, Nova Scotia and confederation, 1864–74 (Toronto, 1979). J. M. Robinson, “A Canadian at the court of Queen Victoria: the high commissionership, 1880–1895” (ma thesis, Univ. of Calgary, 1967). H. G. Skilling, Canadian representation abroad: from agency to embassy (Toronto, 1945). G. R. Stevens, Canadian National Railways (2v., Toronto and Vancouver, 1960-62), 1. D. H. Tait, “The role of Charles Tupper in Nova Scotian politics, 1855–1870” (ma thesis, Dalhousie Univ., Halifax, 1962). P. B. Waite, Canada, 1874–1896: arduous destiny (Toronto and Montreal, 1971); The life and times of confederation, 1864–1867: politics, newspapers, and the union of British North America (rev. ed., Toronto, 1971). W. M. Whitelaw, The Maritimes and Canada before confederation (Toronto, 1934; repr. 1966). Alan Wilson, “Fleming and Tupper: the fall of the Siamese twins, 1880,” in Character and circumstance: essays in honour of Donald Grant Creighton, ed. J. S. Moir (Toronto, 1970), 99–127. Phillip Buckner, “TUPPER, Sir CHARLES,” in Dictionary of Canadian Biography, vol. 14, University of Toronto/Université Laval, 2003–, accessed April 26, 2019, http://www.biographi.ca/en/bio/tupper_charles_14E.html.